Mit dem 2003 gegründeten Label MINIMALSOUL RECORDINGS und dem darauf folgenden MSR DISTRO Vertrieb fördert TJ HICKS aka ALTROY schon seit Langem die Sichtbarkeit österreichischer Techno-ProduzentInnen im In- und Ausland. Wie sich der gebürtige New Yorker in Wien ein Netzwerk aufgebaut hat, was seine eigenen Produktionen auszeichnet und warum man ihn derzeit auch im BURGTHEATER antreffen kann, verrät der Produzent, DJ und Labelbetreiber Shilla Strelka in einem Interview. You originate from the States and were born in Harlem, NY. What was the reason for you to move to Vienna? TJ Hicks: I was booked to play a show on Capri, Italy. After spending a few weeks there, I made a decision to virtue further into central Europe. I called a longtime friend that I knew from Brooklyn, New York who was living in Austria. After letting him know that I could visit Vienna within the next days, he literally said,” please do come – nobody ever comes out here to visit“. Could you let us know about your musical upbringing? TJ Hicks: My first conscious approach towards music was a time of when I was about 12 years old and unable to go to any bar or club. My grandmother played the piano, my mother played the trumpet and my father played the saxophone and percussion. Even though I‘ve played other instruments I feel that percussion is what I do best. I‘ve been a musician for many years and never ventured into production till after I already started to consciously DJ between 1989-1990. Have you ever returned to playing percussion? Yes. I do it now and find myself playing every chance that I get, because to practice is something that I really need and like to do. After not playing for a few years it takes a while to get back into the groove, though now using it to manifest ideas towards electronic music production. . Which artists influenced you back in the U.S.? TJ Hicks: Being into many styles of music, I am in a continuous state of ‚no way back‘. 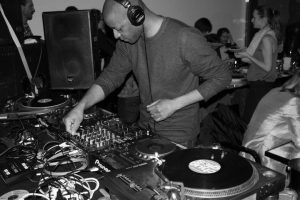 When it comes to contemporary music I find myself listening to electronic music and gravitate towards Detroit Techno artists like Juan Atkins. His productions always stimulate positive thought and futuristic vibes, yet human. In 80‘s New York City on the radio & I‘d hear DJs like like Kool DJ Red Alert, Chuck Chillout, Tony Humphries, Shep Pettibone, Mr Magic or people like Afrika Bambatta, DJ Kool Herc or Frankie Knuckles. You have to remember that we‘re talking about a time when everything was still fresh and cutting edge and had not reached its full level of discovery in what was really developing within the variety of styles within contemporary electronic music. Their innovation with tape and vinyl manipulation inspire me to continue forward with music for many years to come. For lots of techno producers that started off in the late 1980s, it came as a shock when the genre started selling out. Can you relate to that? TJ Hicks: This evolution has a history and it happens with anything of worth. All popular music evolved from lesser-known or ‚underground‘ productions. Many times blatantly ripped-off or stolen from the artist/producer or even the songwriter. Was there a lot going on, when you arrived in Vienna? 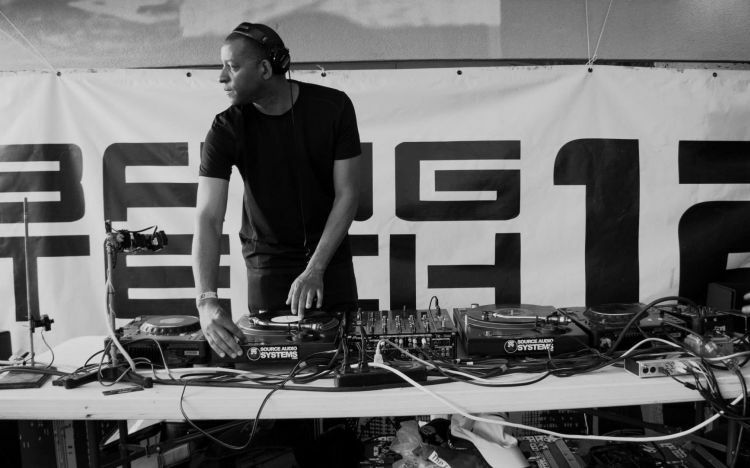 TJ Hicks: When arriving here, I was prepared with a promo CD of Detroit/Hard/Minimal/Techno. Nobody seemed even remotely interested in that! The sound of that time in Vienna was Electroclash and I was the new guy. It was an experience that kept me grounded, which brought me into a different mind-set. So how did you make contact with like-minded people? TJ Hicks: I remember being invited to play on La Boum de luxe & Digital Konfusion Mixshow on FM4 quite a few times in my early days in Vienna. After frequently being on the radio I started to get gigs in Austria and playing in different bars and clubs. I remember one of the first club gigs in Austria at Flex. It was a great experience to finally hear myself on that powerful sound system. Flex is a staple in Vienna. In that time everybody went there every night of the week. The weekends brought even more, yet different people to the club. So at that time I was able to connect with different people, where some went on to become friends. I started networking with some of the people who were at the same happenings when going out in Vienna. In 2003 I played at the Passage opening events and went on to get other bookings, earning a residency at a club called ra‘an. 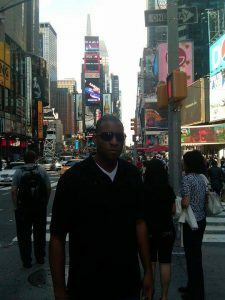 This became a crucial meeting point for me and manifested a handful of solid friendships. As a producer, you don’t shy away from collaborations. You worked with improvising musicians DD Kern and Philipp Quehenberger. The latter will release his EP “In Out” via Minimalsoul this month. How did this collaboration come about? TJ Hicks: After returning to Vienna in 2012 I made a goal to play more live gigs. I did play some together with Didi Kern and Philipp Quehenberger. The gigs that we played gave me the motivation to keep my chops up and continue working on solo performance with a stripped down analog setup. This was around the same time that Philipp’s “Don’t Tred On Me” was released on Editions Mego. It featured mixes from myself, Pulsinger and Elin. We all created stripped down renditions of Philipp’s tracks. After that 12” was out we started working together in the studio. And since qed Sounds was developed in 2017 as Kern’s and Quehenberger’s label releasing live recorded material, we decided to create a new solo (12”) for Philipp on Minimalsoul. It’s called “In Out” and is being released this week. That release features a mixture of Philipp performing the tracks and mixing in other electronics and voice in studio with Patrick Pulsinger. Philipp’s live-sets are an honest approach towards psychoacoustics in performance and offer depth and texture to an electronic music performance. But how come live sets tend to be rare? Is Techno asking for perfection? No, I do not believe that Techno needs perfection. I do, on the other hand think it needs the time to jam! Your EP “Red Planet” is not only referring to a label from Detroit but incorporates the sound of Detroit Techno as well. For someone who doesn’t know the aesthetics, could you maybe roughly sketch out what characterizes it and what you find fascinating about it? TJ Hicks: It’s interesting that some people have associated the title of the EP with a Detroit label that shares the name. I honestly didn’t use that as my association, but to our neighbor planet that we’re still discovering. It was more of a Sci-Fi reference that explores the concepts of time travel and other lifeforms. Since playing Detroit music I find that it has influenced much of my perception in sound. Synthesizer sounds from Sequential Circuits, Roland, Korg and Juno all played a major role in that. I know that even some Casio sounds have made it onto many early records that are still being played today. The characterization of Detroit music that fascinates me is that its rhythmic syncopated structures have layers of melodic strings and thumping kick drum patterns. It also encompasses rhythmically-pulsating hi-hat rhythms often created with drum-machines like Roland TR-909/808/707/606 and the like that are mixed with deep funky basslines, yet often subtle ones too. I must say that the most fascinating thing about Detroit Music to me is that much of it is not necessarily ‘Sample’ based, though it is often created with using a computer and still funky! This might be a suggestive question, but is it important for you to introduce new ideas into techno and to expand the already-existing language? TJ Hicks: Yes! I believe it is important to continue experiments. My goals in music production is to continue learning and to be original. It is easier said than done, though it doesn’t stop me from trying. Every person has different experiences and should be able to channel that out of themselves when presented the possibility to do so, when they are ready. People like to say that techno is functional, entertainment-music, but has no artistic approach. What’s your perspective to that? TJ Hicks: No artistic approach? I‘d beg to differ on that! The interesting thing about that statement is that if it were true, why not feel the same about other genres? When listening to techno or any other style, it is just a song or just a track on its own. If one knows how to perform it, it becomes something completely different. Anyone can mix two songs together, especially from a computer or cd player, with or without sync – though making the right selection for the right moment needs skill, and the artform of putting it together to express human emotion and feeling is the artistic approach that I bring to the table. What were the reasons you started your own label? TJ Hicks: The idea behind the label dates back to 1997. I originally had the idea to release the music that I would start to make electronically with machines. Writing raw style tracks was a consistent need for me. It was like DJing, though it was live hardware jam session style, recording directly to hard disk. In the beginning of 1998 I experienced a hard drive failure, which caused me to lose all music that was recorded to that disc. After not being able to re-produce any of the elements that I tried arranging in the computer, I was at a standstill. Those moments were behind me though, and the music did not sound like it was meant to. After about a week of grieving, I was able to move forward. Looking back at that time I somedays feel that it was a blessing, because I honestly feel that I‘ve had much more time to develop and cultivate a better sound for my personal productions. I also came to the realization that I don‘t make music to necessarily release it. I enjoy the process of actually doing it. This process also contributed to me being able to trust my ears, which brings us up to the reason for starting the label a few years later in 2003. It was to release other artists I believed had a unique touch in their production style. In this instance, Minimalsoul is the conduit to physically retain those stories. Does it matter where the label is based nowadays? TJ Hicks: Generally speaking it‘s not easy to run a label that produces physical products. Location does matter when it comes to logistics and marketing of your product. What’s your perspective on the Austrian techno scene 2019? How was it back then? TJ Hicks: I feel that the Austrian techno scene has much room to grow. There was a major revitalization happening when I came here. The end of the ‚Gabber-style‘ happened and Electroclash was the current focus for many local events that were happening in the bars and clubs. That drove some of the sound system collectives further underground. The collectives that are still active continue to play Spiral Tribe type tunes that are amazingly well produced and sound great on the right sound system. There are fresh producers like G.Rizo who has plays frequently in Vienna, Masha Dabelka,Alpha Tracks, SEDVS, Martina Krassnigg aka Miss Electric, Dibek, Nino Sebelic, Alves aka Mister Bellini, Evren da Conceição, Peter Beatprozessor, Digilog, Moxx and many more that are doing great work. Even seasoned veterans like Elektro Guzzi, Electric Indigo, Peter Rehberg, Erdem Tunakan, Patrick Pulsinger, Elin, Philipp Quehenberger, Tina 303, /DL/MS, DJ Glow, Buffered Multiple, M-Step, Christian Fennesz, Gerhard Potuznik and quite a few others continue to contribute to the Austrian techno scene. 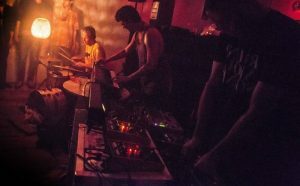 How important are crews and collectives for Techno and if they are important, why so? TJ Hicks: There is nothing wrong with having a crew. I think it is a jump start on creating anything worth having. If you are not in a crew, it may take a bit longer for you to reach your goals, but they’re still attainable. But I do think it‘s important to have people to share knowledge with. It can be quite reclusive in any music scene if one doesn’t have this. You are releasing a bunch of great Austrian acts via Minimalsoul. Why did you choose to dedicate your time to the local scene? TJ Hicks: Travelling around the world to over twenty different countries to play music is something that I always envisioned myself doing. One particular aspect that gave me the extra push was noticing that many of the music scenes around the world were making classic misjudgments in what they thought they needed to do to get their local club, DJ or party recognized. A good example of this was when I saw multiple cities that hosted events catering to high-profile DJs who find themselves in all the magazines and at all the festivals. They thought, „if we book these acts we will take our event to the next level”. I always asked them „What level is that? Where do you need to go with this?” The idea for many of these promoters was to bring „known“ acts and more people will come. I‘d often tell them that if they focus on their local music scene, they will recognize the readily available talent in their own town, and this will make their city and event shine. We recognize this in Vienna and try to stay involved with our culture and music community. We’ve recently started a Vinylmarkt entitled GÖnyl at Elektro Gönner! It’s a monthly rendez-vous for vinyl enthusiasts, uniting Austrian independent electronic music labels, second-hand sellers and us as a distributor. So you not only get the chance to buy old & new forward-thinking music without genre limitation, but also get to know local DJs, Labels and producers in person! Dates can be found on our website! At the same time you’re running the MSR Distro. You started the label in 2003 and the distribution 11 years after. What was the idea behind that? TJ Hicks: The idea behind the distribution came from shopping in record stores around the world and seeing how records get distributed. Some of the best records never reach the market in some geographical locations as they sell out before they can reach particular places in the world! A prime example of this was when I came to Austria. There were a handful of record stores around Vienna that I would frequent. I would always make my way to the dusty bins, usually somewhere under the current fresh stuff. In these bins I would find black gold. 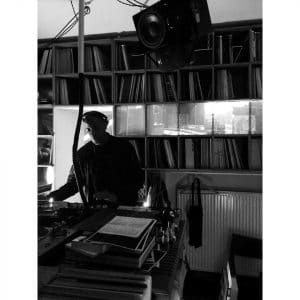 Releases by artists like Robert Hood, Claude Young or Blake Baxter or Jeff Mills just sitting in the bins, seemingly untouched. If one was in the US record shopping for any of those titles or the like, you’d have been on a wild goose chase as you’d almost never find them unless shopping in specific shops in Detroit, Chicago, New York or Atlanta. It was almost impossible to find Detroit music in the States as a majority of it ended up being sold back into the States as imports – even though the music was made in Detroit! Since 2008 one of the main underground music distributors in Austria closed down due to the strong impact that downloaded music was having on the world, as many people knew it. I was in Austria during this time and found it as a big loss in the Austrian music scene‘s development. The positive side of it was that some of the people of the time and others involved in that team are still actively presenting great imported music to Austria through their record stores. 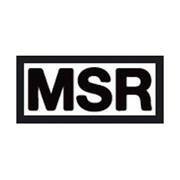 Due to you also running that MSR distro, you’re in touch with lots of Austrian techno labels, from already-established labels like Cheap to upcoming labels like Bare Hands. What are you offering them? How does the distribution work? TJ Hicks: The great thing about both of those labels is that they have fans outside of Austria. That is what make their labels and releases interesting for other shops. They both have different distribution contracts with different distributors outside of Austria, so I make sure that they do have a place in our online shop to show that they are on the grid and doing great releases. Veterans and New School – Austria has both. There are other labels from Vienna like Deep Shopping, ForTunea, Record Shack, Dub Club, Hezekina Pollutina and qed Sounds that we distribute and there are other labels where we have deals on specific releases like Luv Shack, Central, Rhythm Trax, Realtime, Dekon, Houztekk, Yoshi, Discrete Formants, G-Stone and other Detroit and European labels. In the beginning I reached out to make a connection to show specific producers and labels what I was doing. Many of them already had distribution elsewhere outside of Austria. At that time, some labels and producers came back to the table after coming out of previous contracts in order to discuss future endeavors in releasing and distributing current and upcoming records. Since we have a Webstore, it really does help us reach a base that we would have never been able to reach. Besides that, you also work as a music curator for MQ Dschungel and are teaching at the Burgtheater in a project that’s called StadtRecherchen. How did this come about? TJ Hicks: Since I‘ve been involved in the music for the dance project Open Floor at MQ Dschungel I‘ve experienced many different people recognizing the art in the dance and movement and they connect the rhythms in the music to how they feel inside when hearing the music. One of the instructors from this project also recognized this and recommended me to take on the Burgtheater project and I did. Now that I‘m on the project it feels really great, though it is quite intense at times after having a long day before we began in the late afternoon with body exercises and movement. Highly recommended for anybody interested in the project. TJ Hicks: StadtRecherchen is a project where we invite people of all ages to become artistically active and bring their own ideas on the topics of our season to the stage. As part of individual workshops at different locations, we develop together a performance, a piece, a song or a film. As a highlight, you can join one of the stages of the Burgtheater in May at the big StadtRecherchen presentation. This is in cooperation with the JUHU! Youth relief organization of the family Umek and Brunnenpassage. The final presentation will happen on the 5th of May at Akademietheater. What will we be able to experience there? TJ Hicks: This season, we explore the relationship between power and powerlessness, the individual and society, and the positive power of faith, love and hope, which was inspired by Burgtheater productions, “Mephisto”, “Glaube Liebe Hoffnung”, and “Die Ratten”. In our group we produce a rhythm & dance performance. We continuously work on movement and rhythm. One instructor teaches the dance portion of our workshop and I teach the rhythm portion of the performance. We have many percussion instruments like tom drums, djembe, congas, claves and other percussion instruments that we‘re developing into the piece. Once we have our core groups together we will start to develop the song. It is still open to whether we perform the live drumming or if we create the song together and produce a recording for the performance, so this is quite interesting for me to see how it comes together. Which places do you recommend going in Vienna, as a tourist who is into your sound? TJ Hicks: In Vienna? If you’re looking for a club then: Werk, Flex, Grelle Forelle, Fluc, Celeste. For buying records: Market and Substance.